Every year around this time a few films come out that feel like Oscar-baity period piece dramas. They usually feature great performances, beautiful costumes and brilliant production design, but sometimes their stories and drama fall flat. Last year’s The Theory of Everything was a prime example of this and I initially thought that this year’s Brooklyn might fall into that category as well. Thankfully, Brooklyn is actually a very engaging film with an interesting story and a great character at its center. It plays things pretty safe and it still feels like it’s the kind of film that is only made to attract Oscar voters, but director John Crowley and star Saoirse Ronan allow the film to succeed regardless. Eilis (Saoirse Ronan) is a young woman living in 1950s Ireland who has just received the opportunity to live in America. Unfortunately, this means departing from her family and leaving her sister (Fiona Glascott) to take care of their mother (Jane Brennan). For Eilis, the journey to America starts off rocky; she has to battle seasickness when crossing the ocean and when she finally reaches land, she can’t shake a feeling of homesickness. But this all changes when she meets a charming young Italian man named Tony (Emory Cohen). The two end up falling in love and Eilis begins to accept America as her new home. But when tragedy strikes her family, she forced to head back to Ireland. Now she must choose between two homes that are thousands of miles apart from each other. It’s ultimately the love story between Eilis and Tony that takes up the majority of the film, so it’s a good thing that we’re able to connect with both of the characters. In fact, it’s Ronan’s beautiful performance that’s able to keep the audience engaged, even when the film dips into familiar territory. This romance offers nothing particularly new or surprising, but it’s sweetly told by screenwriter Nick Hornby. Eilis and Tony don’t rush into a relationship with each other and it’s nice to see the two of them slowly fall in love. Their first encounter, a trip to Coney Island and Eilis meeting Tony’s family for the first time are all nice moments within the film that never grow stale. While Brooklyn never really portrays the difficulties that I’m sure many immigrants had to go through, that hardly matters because this is a story about love and accepting a foreign place as your new home. The first hour of the film is relatively conflict-free and it’s only in Eilis’ trip back to Ireland that the real drama arises. While the overall story of the film may not sound particularly exciting, Eilis is an easy character to fall in love with; we care about the story because we care about her. 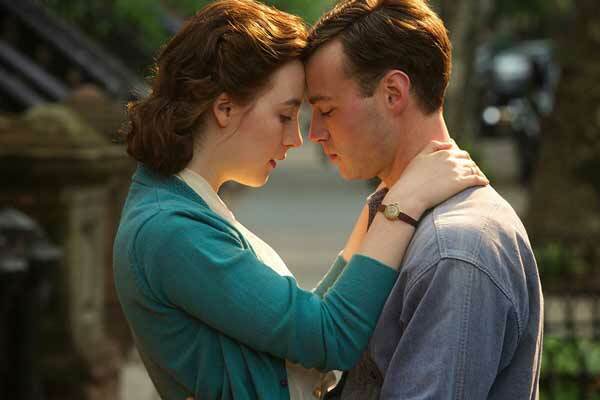 It may be a period-piece love story, but Brooklyn is certainly better than most Oscar-baity dramas.